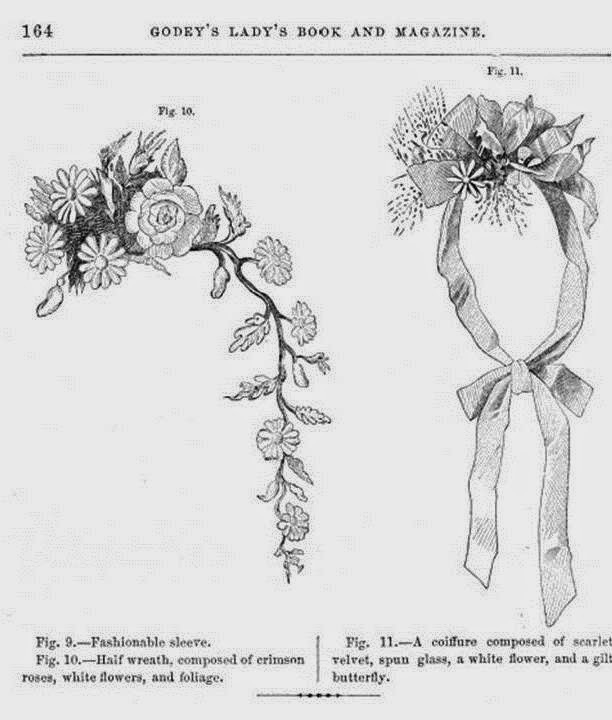 Vintage photographs, paintings, and fashion plates from the 1860s illustrate the prevailing trend of ladies wearing some decoration in their hair for formal occasions. 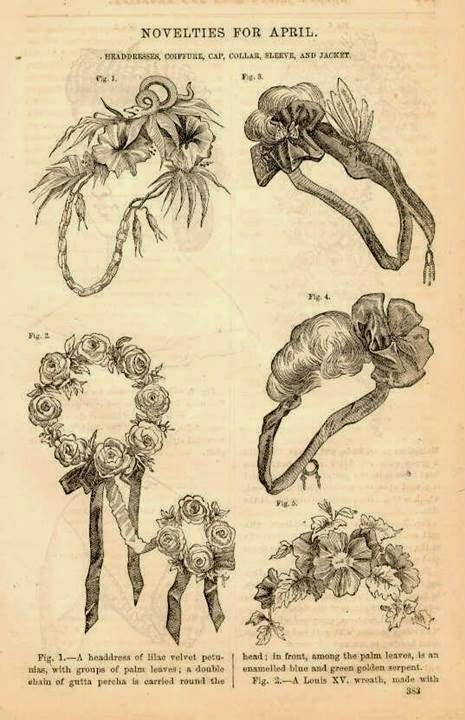 A formal event was the perfect excuse to indulge in pretty “bling” for the hair and the ladies' magazines had plenty of advice to offer. Materials used inlcuded everything from flowers, foliage and laces to ribbons, jewels, and feathers... and anything else a lady could think of! 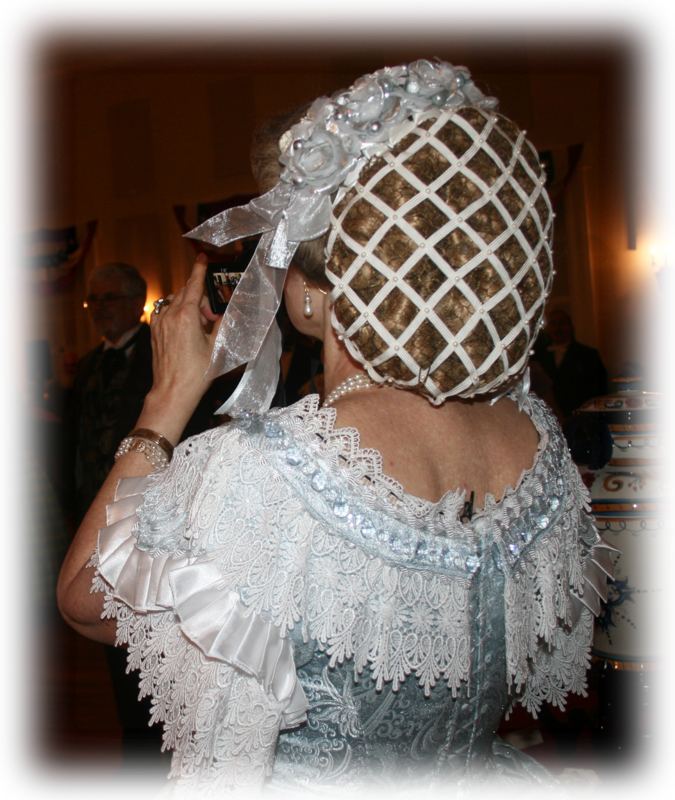 To be correct, a modern lady reenacting a formal 1860s occasion should follow suit. 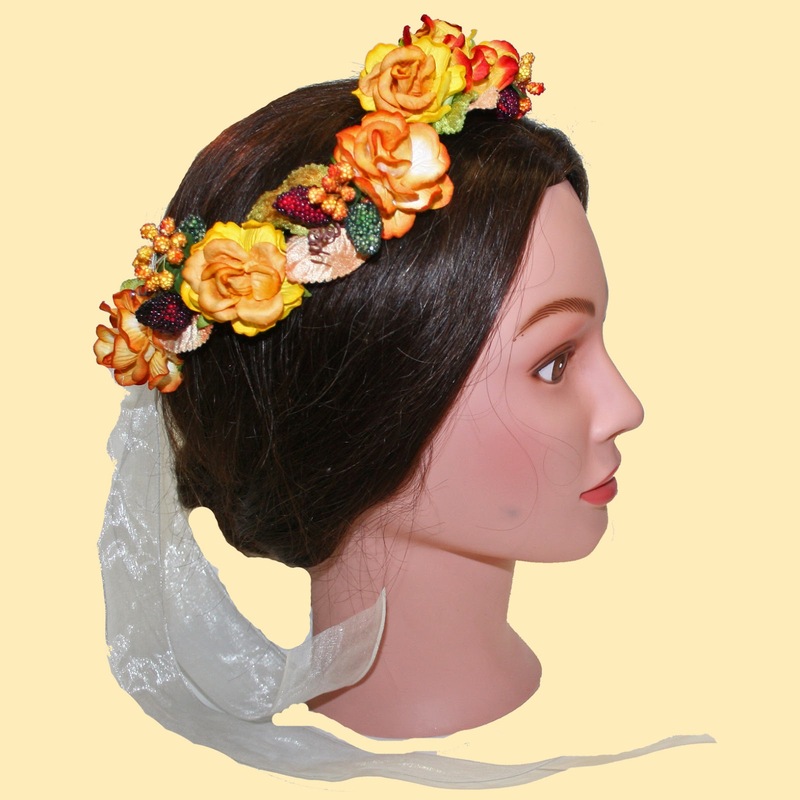 To help those who may not want to make their own, I enjoy making headpieces for ladies. It’s a fun way to vent those creative moments! 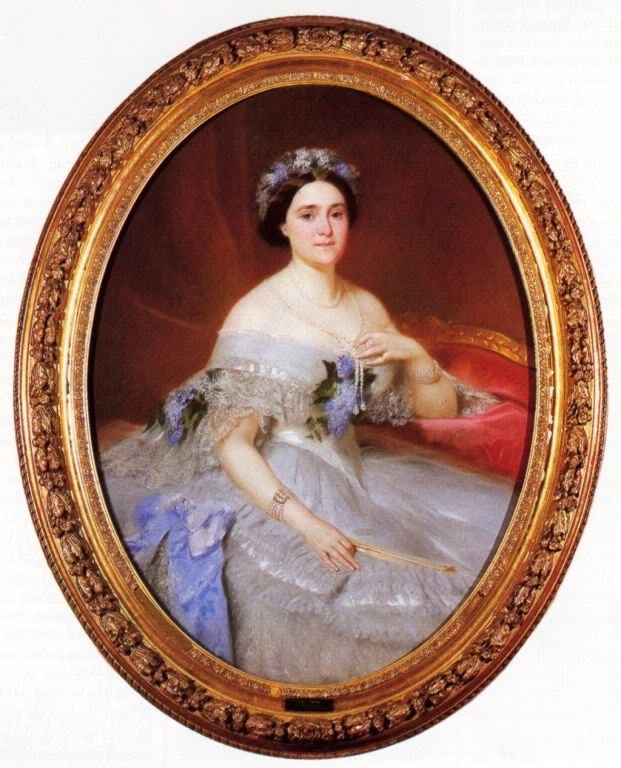 Wouldn’t you love to look like Princess Mathilde Bonaparte? 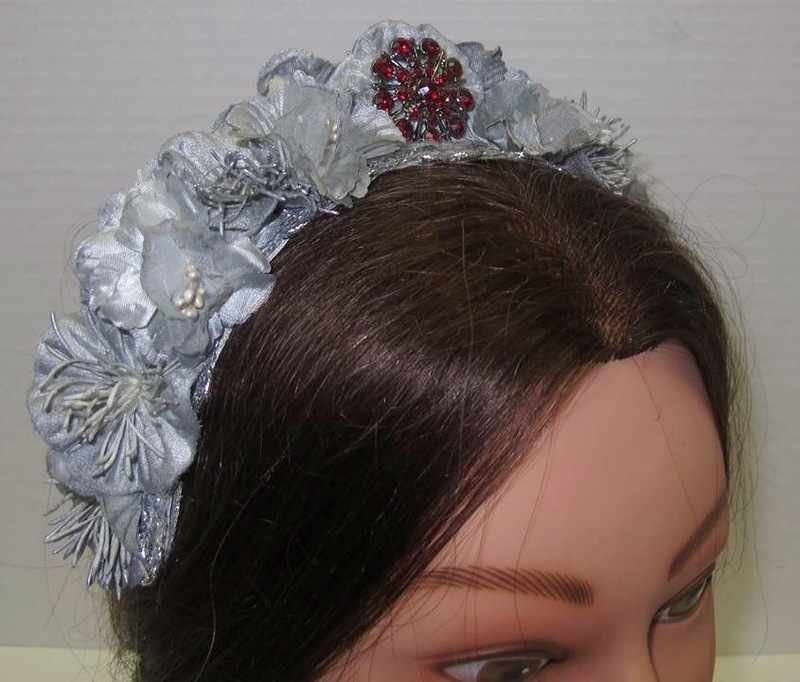 Her lovely headpiece complements her gown. 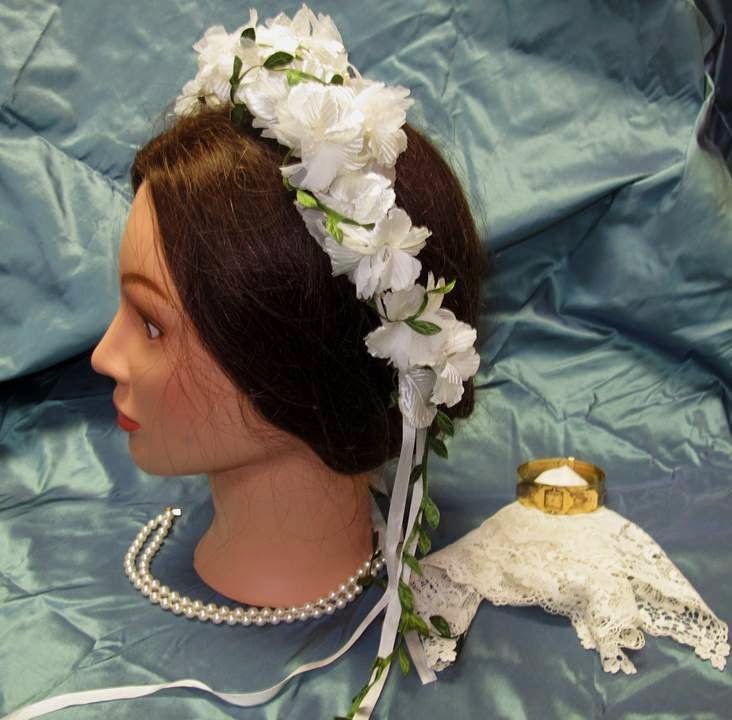 Or maybe you'd like to look like Princess Alice Saxe-Coburg! 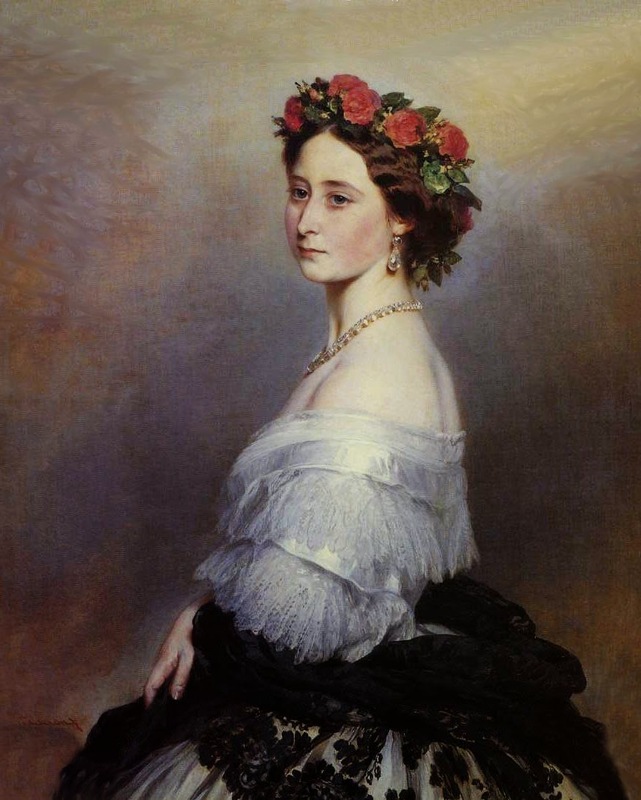 Headpieces didn't always match the gown. 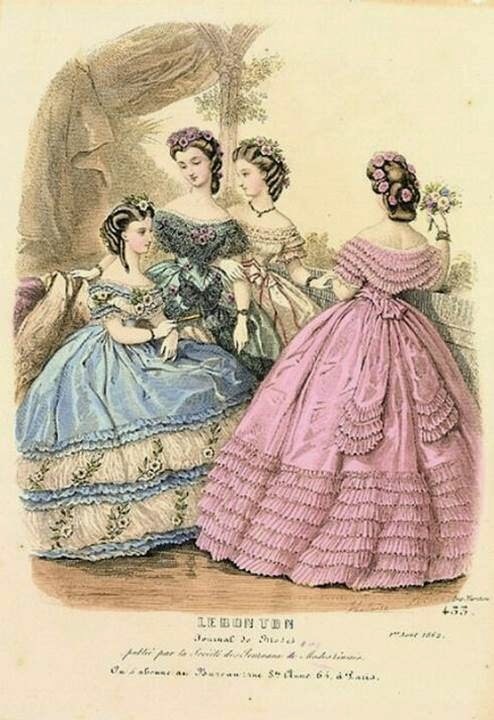 Matching the gown or not, nearly all ladies would wear a headpiece with a ball dress. 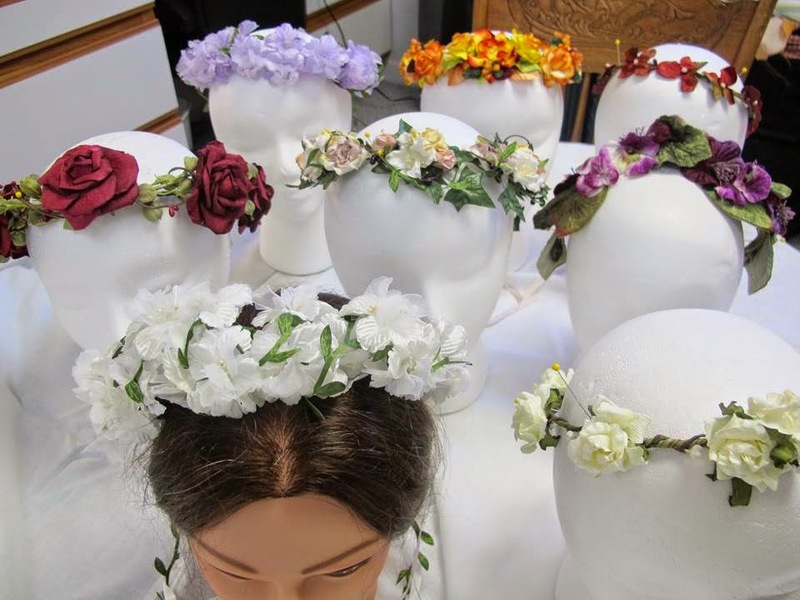 These are headpieces I've been working on for the Olde South Ball Bazaar!